Happy Birthday to Former First Lady Eleanor Roosevelt who was born October 11, 1884! 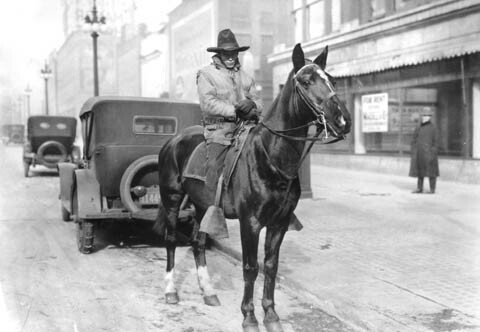 In 1936, Eleanor and President Franklin Roosevelt stopped in Cheyenne during a campaign swing through nine western states. The 20-hour pause was the longest of the trip and the couples’ second visit to the Capitol City. The Sunday “rest” just happened to coincide with Eleanor’s birthday. October is Archives Month, the time when archival institutions around the country make a special effort to promote the important work archives do in preserving and providing access to America’s documentary heritage. 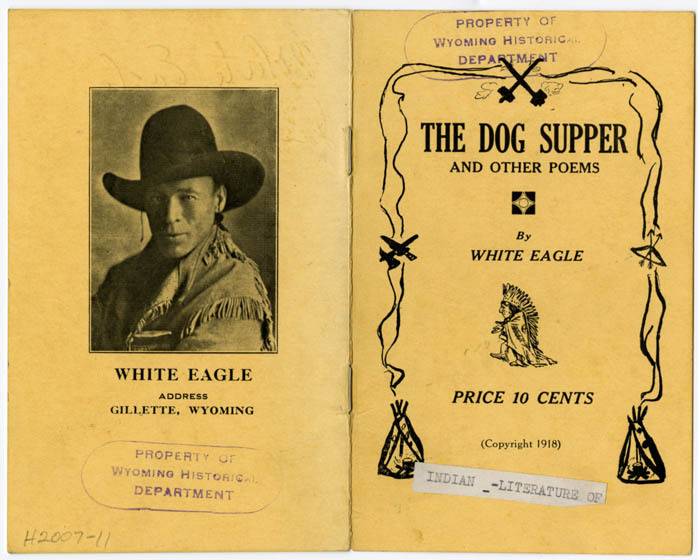 We take particular pride in the fact that the Wyoming State Archives has one of the best collections of Wyoming history anywhere. Our holdings include the State Constitution, the Suffrage Act, thousands of photos, hundreds of maps, governors’ records, and tens of thousands of feet of records that document all levels of government throughout the state. And those are just a few of the highlights. It would be a mistake, however, to focus solely on the historical research aspect of the material in our care. One of the things that makes working in a state archives so rewarding is the opportunity to help people resolve issues that come up in their daily lives. We processed nearly 4,200 research requests from the public last year and thirty-two percent of them involved school records. Year after year, school transcripts are our most-used records. People request them when they are going back to school or are applying for a job and need verification that they have graduated from high school. Other records in our collections have similar immediate uses. People use court records to document land ownership and mineral rights, to complete background checks, and to file for pensions and social security. People often use marriage and divorce decrees when renewing driver’s licenses and applying for social security. 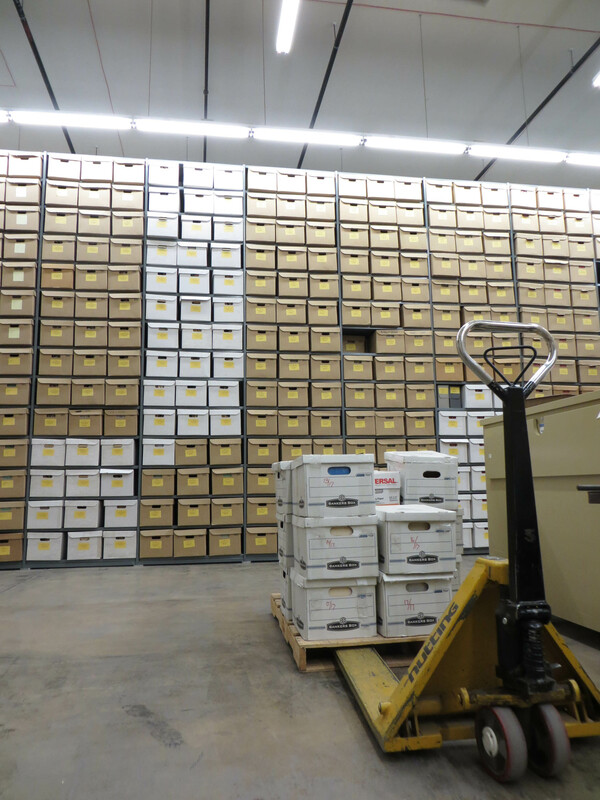 In these cases and others, the State Archives has the information citizens need to complete fundamental tasks. My favorite example of the importance of the records in the archives occurred several years ago, soon after I arrived in Cheyenne. A woman in her seventies was attempting to locate her brother and sister with whom she had not had contact during her lifetime due to adoption. State Archives staff members found records in the District Court adoption files and school censuses that made it possible for a confidential intermediary to reunite her with her brother and sister. Archives Month is all about telling those kinds of stories and promoting what we have and how to use it. Below is a list of the activities the State Archives staff will be participating in or organizing themselves this month. I hope you will check in with all of our social media outlets throughout October for more information. On October 5, archivists around the country will take to Twitter using #AskAnArchivist to answer your questions about any and all things archives. Sponsored by the Council of State Archivists, the purpose of Electronic Records Day is to raise community awareness of our digital records and of the need to manage and preserve them. Staff archivists will review recommended methods for handling and storage of your treasures, and offer advice on digitizing your collections. How-to handouts will be available. 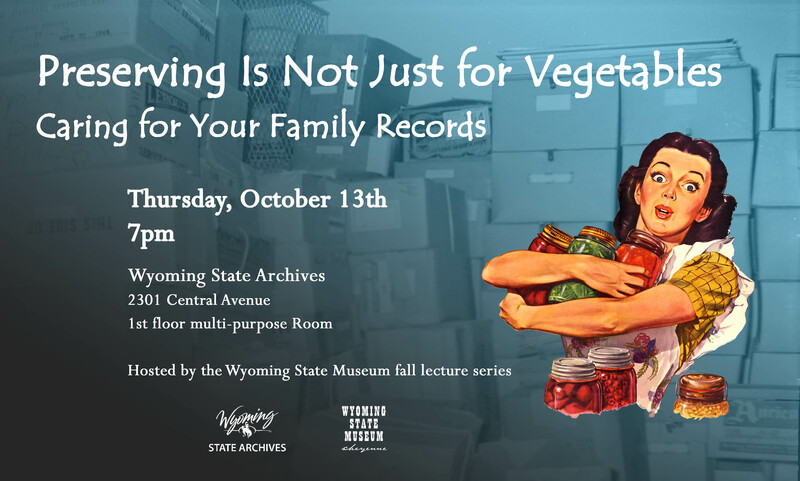 This event is a part of the Wyoming State Museum fall lecture series. 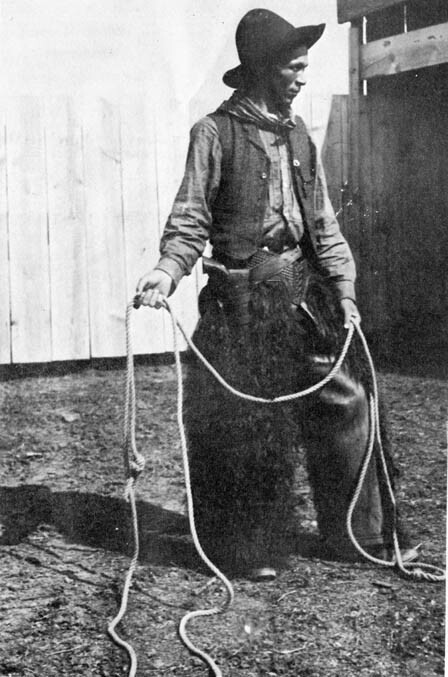 State Archives staff will present a three-hour workshop on “Finding Your Wyoming Roots in the Archives.” Staff members will guide you through the search for your family in vital records, city directories, and school records. Following the presentations, attendees will be invited to stay for an hour and begin their research in the Archives. This workshop is free but registration is requested as space is limited. For more information or to register for the workshop, call us at 307-777-7826 or email us.